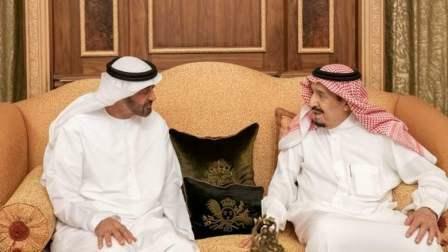 The Custodian of the 2 Holy Mosques, King Salman bin Abdulaziz of Saudi Arabia, and His Highness Sheikh Mohamed bin Zayed Al Nahyan, Crown Prince of Abu Dhabi and Deputy ideal Commander of the UAE armed forces, discussed approaches of consolidating bilateral ties and took inventory of the trendy nearby and international issues of mutual interest. At the same time as welcoming Sheikh Mohamed, King Salman emphasized that brotherly, longstanding ties between the two countries and their peoples were growing more potent under the company will of the leadership in both nations to in addition developing and increasing them. The two leaders discussed avenues of joint coordination and cooperation as well as joint work in regions that serve mutual pastimes with a purpose to advance improvement, prosperity, and stability for the peoples of Saudi Arabia and the UAE and different peoples within the location. The assembly, which took place at Erga Palace in Riyadh, addressed challenges and crises besetting nations within the region while the 2 leaders confused the significance of strengthening joint Arab action in confronting those challenges and risks, along with extremism, terrorism and local interferences in inner affairs of Arab countries, that threaten local security and stability. His Highness Sheikh Mohamed bin Zayed underscored that Saudi Arabia and the UAE keep strong brotherly bonds based on well-hooked up foundations of mutual affection, appreciate and self-assurance, and a commonplace imaginative and prescient closer to nearby and global changes and challenges out of their perception in their common destiny. Gift on the talks from the UAE aspect have been H.H. Sheikh Tahnoun bin Zayed Al Nahyan, the countrywide security Adviser;H.H. Sheikh Mansour bin Zayed Al Nahyan, Deputy high Minister and Minister of Presidential Affairs;H.H. Sheikh Khalid bin Mohamed bin Zayed Al Nahyan, Chairman of Abu Dhabi government Committee;Sheikh Shakhbout bin Nahyan Al Nahyan, UAE Ambassador to Saudi Arabia;Reem bint Ibrahim Al Hashemi, Minister of state for global Cooperation; and numerous senior UAE officials. Those who attended from the Saudi facet included Prince Turki bin Mohammed bin Fahd bin Abdulaziz, Minister of country and Member of the cabinet; Prince Abdulaziz bin Saud bin Naif bin Abdulaziz, Minister of interior; Dr. Ibrahim bin Abdulaziz Al-Assaf, Minister of Foreign Affairs; Khalid bin Abdulrahman Al-Issa, Minister of state and Member of the cabinet; Tamim bin Abdulaziz Al-Salem, and the Assistant special Secretary of the Custodian of the two Holy Mosques.